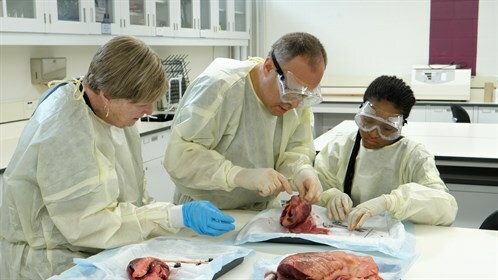 May 4th was a big day for Dr. Chris Nichol of Camrose. 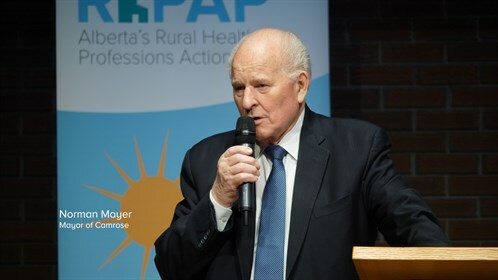 He was the recipient of the 2017 RhPAP Rural Physician Award of Distinction. Along with the award, RhPAP provides a donation towards the recipient’s favorite charity. 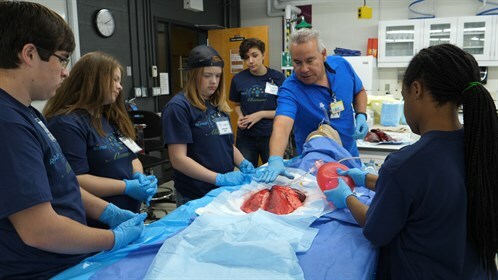 For Chris, that was easy, the Young Medical Minds, a program he created three years ago to introduce Grade 8 students to medicine. 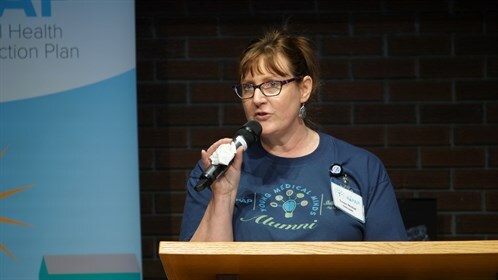 A skills day for alumni of that program was held on the same day as the award presentation. Funding was provided by the Camrose and Area Attraction and Retention Committee. There were eight skill stations in all. 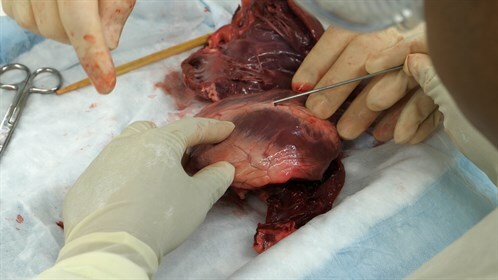 Two others included the use of animal organs: a uterus for childbirth and pig lungs and heart for respiratory. At lunch time, the students and instructors were invited to join other community members from Camrose for a luncheon and award ceremony for Dr. Nichol, hosted by RhPAP. “The programs that he has started, that he has been instrumental in in bringing forward to our communities, is something that we can be very, very thankful for,” said Camrose Mayor Norman Mayer. 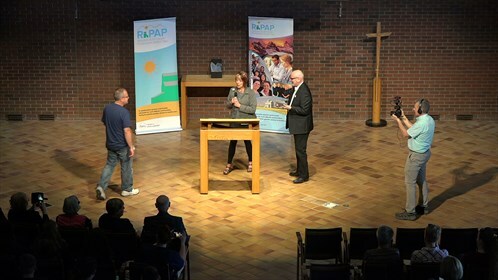 RhPAP Executive Director, Bernard Anderson, and Director, Rebekah Seidel, were proud to present Dr. Nichol with this award on behalf of the entire RhPAP Board. 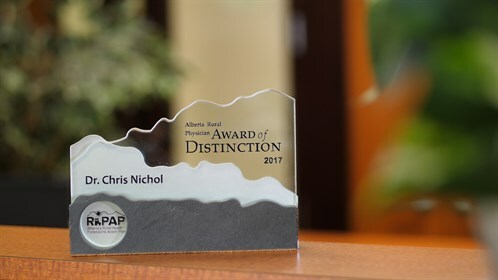 The award recognizes Dr. Nichol’s outstanding achievements in healthcare in a rural community. 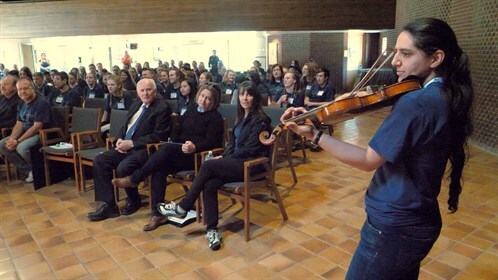 The award ceremony wrapped up with Maya Rathnabalu, who works alongside Dr. Nichol at the Smith Clinic, playing violin as everyone sang “For He’s A Jolly Good Fellow”.